The conference in Astana, June 29-30, included representatives from nine countries and 11 organizations, as well as members of civil society and the private sector, according to the Kazakh Ministry of Foreign Affairs. Needless to say, the topic is one of immense interest throughout the South and Central Asia region and participants espoused hopes to use these conferences to develop new strategies to deal with violent extremism. All parties stress broadening cooperation, but there remain conflicting views on how to deal with the spread of violent extremism, particularly in regard to the internet. The Kazakh Ministry of Foreign Affairs, in their summary report, noted in a few places that participants stressed the importance of dealing with the fundamental causes of terrorism and pivotal place that respect for human rights plays in preventing the spread of violent ideologies. Remarks delivered by Gil Kerlikowske, the commissioner of the U.S. Customs and Border Patrol, as well as those from Robert Berschinski, Deputy Assistant Secretary of State for Democracy, Human Rights, and Labor, make the same emphasis. But statements from Kazakh officials and regional policies contradict these aims. These areas–all of which fall under the broad “human rights” umbrella–are consistently at risk in the region which more often than not equates most opposition with extremism. One of the major ways to get people involved is dissemination of radical ideas on the Internet. 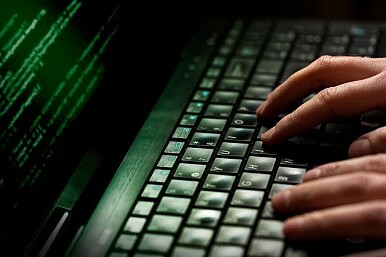 The global Web is exploited to promote destructive ideas, hatred, violence, train mercenaries, concert criminal efforts. Just imagine that one video featuring calls to jihad uploaded by terrorists on social media ranging from Facebook to WhatsApp might be seen by a couple of million people a day. Kazakhstan is taking measures to identify and block menacing videos; however, we need joint and consistent efforts. The civil society should play a greater role in eradicating promotion of terror and extremism ideas. One of conclusions from the conference was that in order to better understand the threat of extremism at local and regional levels, there is a need to promote research and information sharing on the topic. This gets tricky considering many Central Asian states have laws on possessing non-approved religious materials as well as extremist materials and routinely block a number of websites, from Facebook groups to human rights organizations. This hardly creates the space to research, let alone encourage deeper local research. Take the case of Umar Farooq, a freelance journalist who published a damning report in April on the lengths to which Uzbekistan’s president has gone to crush opposition. Farooq was detained in Kyrgyzstan in late March, police claimed that he possessed “extremist” materials. Farooq was shortly released but after the authorities illegally searched the homes of two human rights lawyers–ostensibly looking for more extremist materials. When we suppress peaceful and legitimate expression and ideas, even ones with which we disagree or even find abhorrent, we simply drive extremist voices underground, where they are harder to track and challenge, while in many cases enabling conspiracy theories to thrive. So engagement, rather than censorship, needs to be part of the solution. The divergence between regional governments and the West is stark on this issue and could very much stall the broader cooperation everyone keeps mentioning.